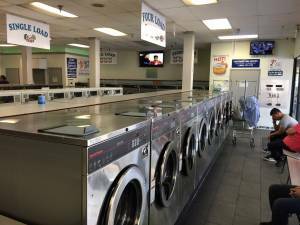 This laundromat is located in a highly visible location within an anchored shopping center in the heart of Selma. In Q2 2016, 18 new SQ 40lb. washers were installed along with a new porcelain tile floor. Has a high efficiency water heating system and a high capacity Standard change machine. Click to view all Laundromats for sale in Northern California listed by PWS Laundry.